Wow! 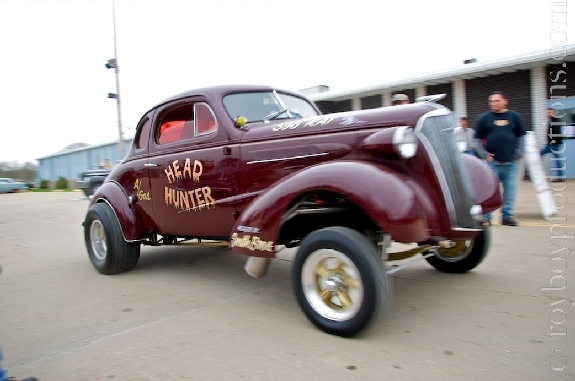 What can I saw about John Well’s Vintage Torque Fest!? Great show sums it up succinctly, but that doesn’t do justice to this event, car show, music festival, drive-in, bus racing, motorcycle racing exhibition, hot laps with the show cars… and all to benefit helpinghannahsheart.org! 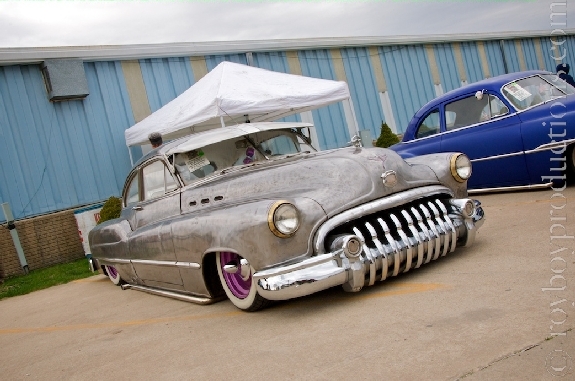 Here’s my Royboy Production story of Vintage Torque Fest 2011. 4:30am came early on Friday, I’m not a morning person but I was on a mission! The forecast was for rain on Saturday but since the show started at noon on Friday I planned on getting there and getting some shots in of all the folks that showed up Friday. 600 miles behind me I arrived at Vintage Torque Fest at the Jackson County Fairgrounds in Maquoketa, Iowa. Friday’s drive was no time for enjoying my travel like normal, it was 80mph for 9 hours… and it was sooooo worth it! There was a good turn out on Friday, ton’s of cool cars and some of my favorite folks showed up. The Oliver Built Group out of Des Moines was out in force and helping John run the ranks of volunteers that it takes to put on a show of this size. They brought with them the usual assortment of interesting and uniquely cool rides and some kool bicycles too. Later in the afternoon Los Punk Rods of Kansas City showed up, always adding to the fun of a show. Punk Rodder Tyler is frontman for the the Savage 7, and rocked out the stage late Friday evening. The indoor area had a great selection of special show cars. Voodoo Larry had a couple of creations on display, as well as the Weesner inspired Emerald Tide & Lit Up (under construction), a sweet belly tank car, Jake Moomey’s beautiful 54 Chevy (that he actually took on the dirt track!!! ), the KKOA’s 777 award winning Phoenix from Jack Walker’s collection and so many more! 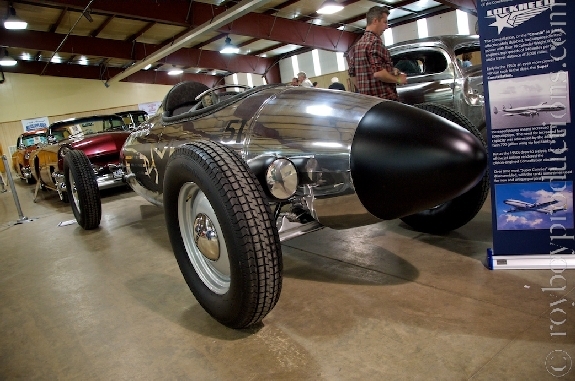 There were a handful of cars that were at Lonestar Roundup in Austin earlier in the month. There’s 18 miles of interstate between these two shows, so congrats to the die hards! Cars were sporting license plates from a ton of different states from across the U.S. I didn’t count but it was a good cross section of the middle of the country for sure. The Saturday action on the dirt track was a blast. Between the bikes out turning laps and the show cars I had a fantastic time. Watching some of the folks hit the mud and sliding sideways around the corners was too much fun. 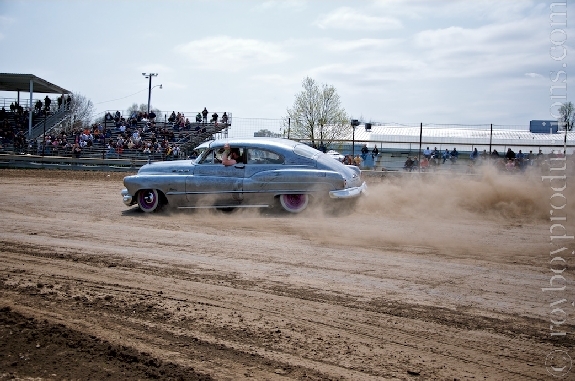 Customs, hot rods and fairly stock rides a like all got out and took some time stirring up dust on the track. Then it was off to the drive-in for 2 Lane Blacktop & American Graffiti on the big screen while more bands played back at the fairgrounds. Too much kool all in one weekend, I’m still exhausted! Seen enough pictures? 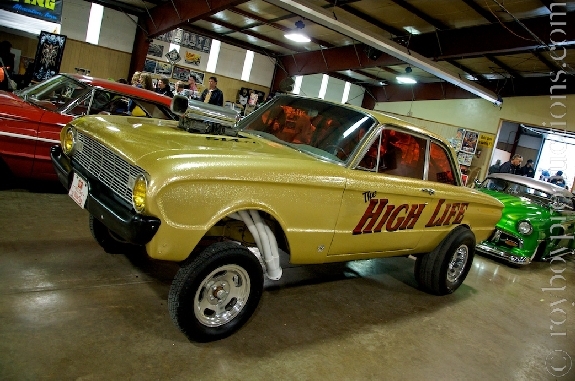 There’s over 100+ Picture from Vintage Torque Fest in the picture gallery. 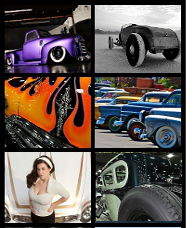 Make sure to find out about next year’s Vintage Torque Fest at their website. What a cool website…Old iron rules! Here is what I like about this site and movement: I had a 37 Ford Coupe that I put a great amount -TOO MUCH!- of money in with a Mercury engine, rechromed grille and bumpers, frenched head-lights, Hudson tail lights and five coats of very expensive black lacquer, among other additions. So, I’d come out of a movie and people would be sitting on my car and resting sandy feet on my new bumpers. I could not have fun because I’d be worry-worn if I were not driving it; up-tight about some idiot slamming me in a parking lot while opening a door. You get it, right? 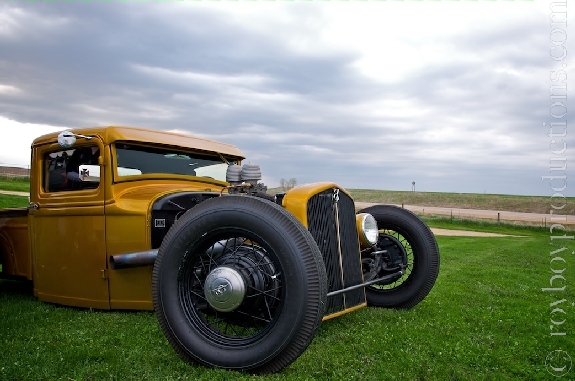 So now I see these rat rods that owners drive to obscene speeds, didn’t spend much money on and are thoroughly enjoying their rides. I am presently building a rod with a budget of $2500; I’ll paint it with a brush. Who needs chrome? Bob Jennings of Muskegon, MI.